The primary aspect of classic car restoration Brisbane or on the Sunshine Coast, would probably be handling the immense amount of rot, rust, scale and grime. This is on the surface of the body panels and other bodywork parts. It is economically unreasonable and also quite foolish to spend your cash on new reproduction parts. They are of a much inferior quality and are quite difficult to fit into. When dealing with a classic car the first task is getting rid of all that corrosion off the body work. Using chemical strippers is not only dangerous but also quite a chore. With all those chemical canisters, your garage is going to end up being a mess. 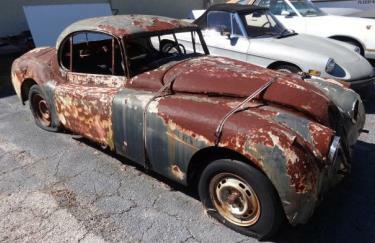 Wet abrasive media blasting is an efficient solution for classic car restoration Brisbane. This kind of blasting process involves stripping of the old paint and collecting rust from the surface of the either the body panels, parts or the frame using a blasting process that incorporates both blasting media such as recycled glass or garnet and water. A form of rust inhibitor is also usually incorporated into the blasting process to prevent further surface rusting. The process is not only inexpensive to get rid of the contaminates, but also gives you a very clean, uniform surface profile. It is slightly rough to the touch which makes it extremely effective for priming and repainting. Compared to the old way of dry sandblasting, the end product is a paint ready surface. There is usually minimum to no damage, that the aggressive nature of dry sandblasting lacks. This is usually due to the fluid action of the water present in the process. EnviroPrep Media Blasting is a company that prides itself on doing a job right the first time. If you are doing automotive restoration then call us on 0477 066 138 and we will set up a time to come and see you for a FREE quote.